PRODUCT DESCRIPTION: Are you looking for an alternative to traditional pest control products? This may be exactly what you are looking for. 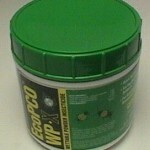 ECO PCO WP-X uses three botanical active ingredients in an wettable powder formulation. This is the most popular Green formulation used by our Pest Control Operators that provide Green Pest Control Services. They like it because it is very low odor and has the longest residual of all the green concentrates. This is likely the best option for customers looking for a natural alternative to traditional pest control products. leafhoppers, mealybugs, mole crickets, sod webworms, thrips, whiteflies and other landscape insect pests. WHERE TO USE IT: ECO PCO WP-X has a broad label and can be used in and around homes, offices, hotels, motels, schools, hospitals, nursing homes, zoos, daycare centers, factories, warehouses, stores, restaurants, other food-handling establishments, kitchens, transportation equipment, aircraft. 1. Fill applicator tank 1/2 with water. 2. 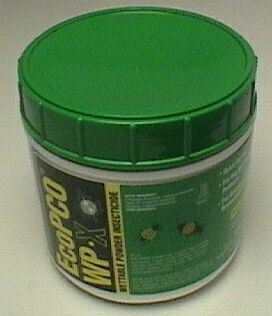 Add desired EcoPCO WP-X. 3. Allow 1 to 2 minutes for powder to wet. 4. Agitate, stir, or shake applicator tank. 5. Finish filling applicator tank and agitate again before use to ensure satisfactory suspension.